Enjoy the best inspirational, motivational, positive, funny and famous quotes by Andrew Robb. Use words and picture quotations to push forward and inspire you keep going in life! We had a level of tariffs of about five per cent. Now a lot of those will go, most of them will go over time, some of them immediately. Now that means that electronic goods and other things, white goods, coming into Australia, will be cheaper for our community. 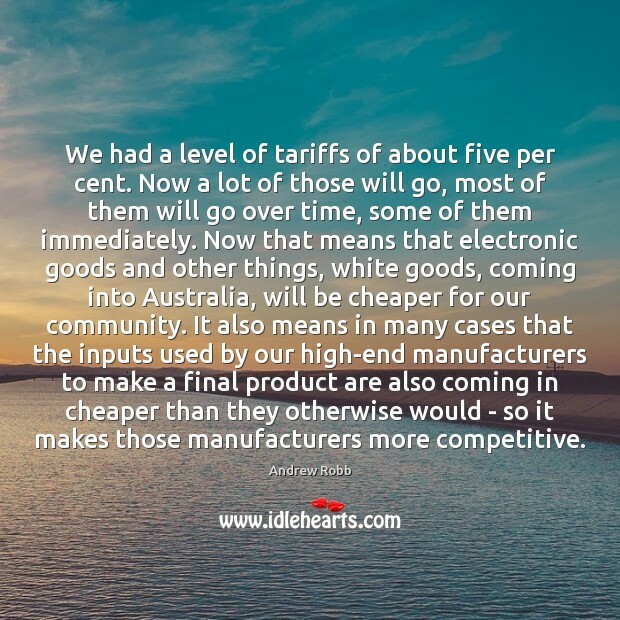 It also means in many cases that the inputs used by our high-end manufacturers to make a final product are also coming in cheaper than they otherwise would - so it makes those manufacturers more competitive. 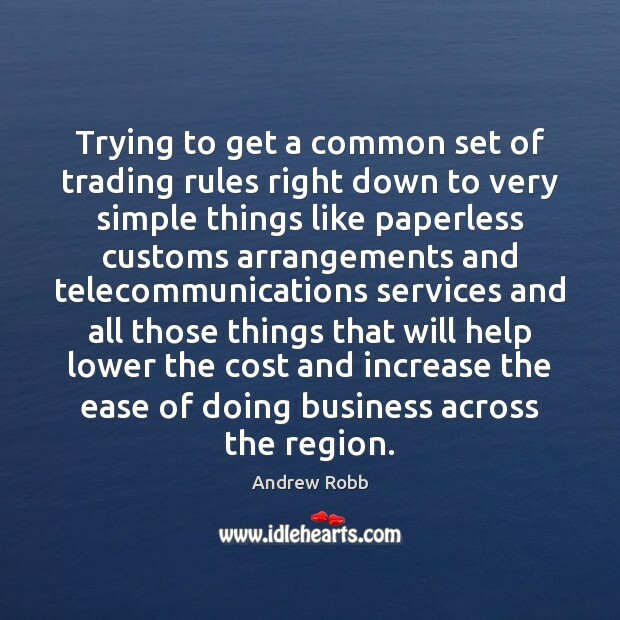 Trying to get a common set of trading rules right down to very simple things like paperless customs arrangements and telecommunications services and all those things that will help lower the cost and increase the ease of doing business across the region. We live in a world of terrorism where evil acts are being regularly perpetrated in the name of your faith. And because it is your faith that is being invoked as justification for these evil acts, it is your problem. You can't wish it away, or ignore it, just because it has been caused by others. 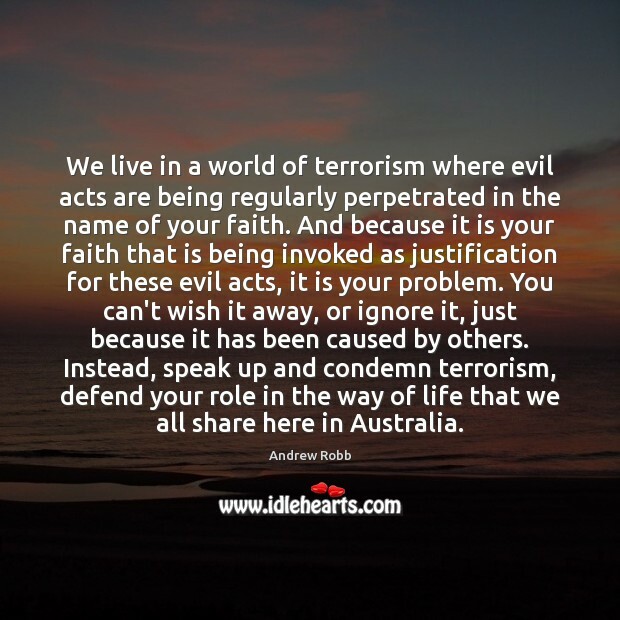 Instead, speak up and condemn terrorism, defend your role in the way of life that we all share here in Australia. There is a very strong deal for our farmers to start with. 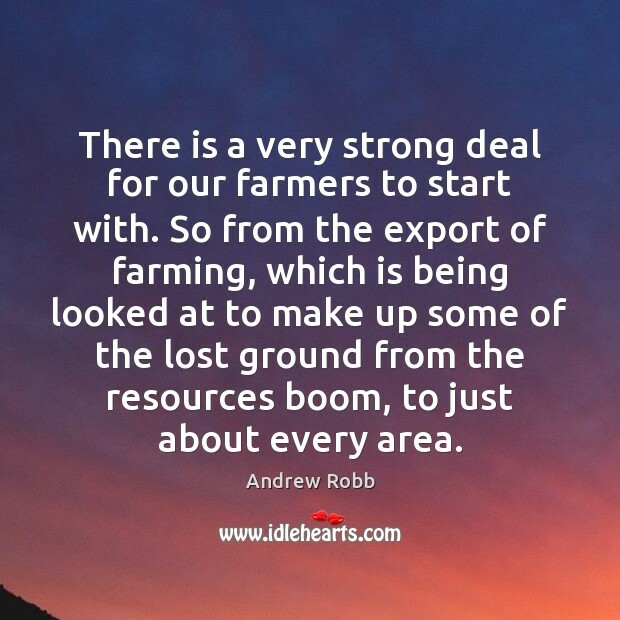 So from the export of farming, which is being looked at to make up some of the lost ground from the resources boom, to just about every area.